As part of a network of churches called Family Promise, we welcome families who are temporarily experiencing homelessness, and provide housing and meals on the third floor of our original campus for a week at a time, four-five times a year. Each host week takes many hands, and we'd love for you to join us! 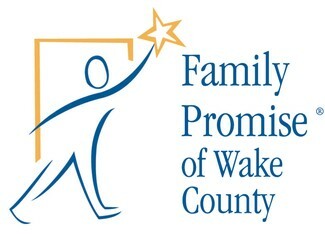 With the families - Welcome our guests, make and share a meal, spend the night, help with daily transportation (van provided) to the Family Promise day center (903 Method Rd., Raleigh), or host a fun activity at the church for the families. Closer to the hosting week, one of our Family Promise team coordinators will follow up with you to provide a few more details. Travel time between the church and the Family Promise day center is around 15 minutes each way. You will start and finish at the church, and the Family Promise van stays parked in our parking lot. Our greeter coordinator will connect with you to go over the ropes prior to your first time greeting. Provide main and side dishes, dessert and beverages for our guests. Eat dinner with our guests (at least two team members). Our meal coordinator will connect with you to discuss the meal you want to bring and for how many (this varies per hosting). Cameron and Damien - how much food is needed? For how many people? Thank you !!!! 1 male, 1 female (families with kids welcome!) If you can arrive at 6:00pm to have dinner, that would be wonderful. My daughter Kiley (age 14) will be greeting. I will be there as well.